you gotta love duets, eh? this is a classic! anyways, enough of that. what? wait, i'm not ready! i never seem to be ready, but here we are ... Lent. today is Ash Wednesday, the door into 40days of knowing better, loving more and following more closely God in Our Lord Jesus Christ. i always struggle on deciding what to give up, or what to take on. prayer sounds like a good thing? how about a little fasting? and maybe add a dash of almsgiving! boom, you've got the right ingredients, but i don't always know how to read those complicated recipes! one of my favourite devotions has always been the Stations of the Cross! 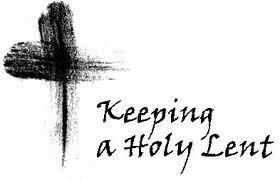 this year, for Lent, one of the things i will add to my "to-do list" is walk this way, that is praying the Stations daily! during Ordinary Time, we are invited in knowing Jesus better. through Advent and Christmas, we hope to love him more in the Mystery of the Incarnation. and in Lent and Easter, we are invited in walking with Him on the way, through the desert, following Him more closely as His disciples. the journey will not be easy, but it will be beautiful! happy Lent. peace. ps. join us at St-Pierre-Apôtre for the Stations every Friday night at 7pm. lent your not ready for lent fr john. I sretunley am I am giving up sweets. well I hope every thing is going well in life. please come and knock on our door and say hello some time. good to hear from you Kayla! i'll pray that you have a great Lent! me, so far so good. but, i have a cold, not fun! i'll do my best and stopping by soon. say hello to all. peace.